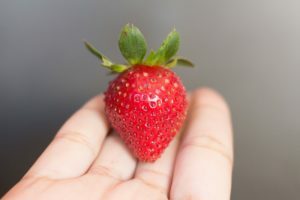 Familias Undias por la Justicia, the farmworkers’ union in Washington that initiated the domestic boycott of Driscoll’s berries in 2015, recently announced they have reached a tentative agreement with Sakuma Bros (http://familiasunidasjusticia.org/en/newsandupdates/). Pending ratification by the FUJ union members, these workers may soon enjoy an historic labor contract with this major supplier of Driscoll’s strawberries. While there is cause to celebrate in Washington, things are not looking so good in San Quintin, Mexico. Workers, including children, often work twelve hours for as little as $6 a day. Like their comrades in Washington, most of these workers are indigenous migrants from Oaxaca and report being subjected to racial and sexual harassment . Despite having formed a union of their own – the National Independent Democratic Farmworkers Union (SINDJA) – Driscoll’s and it’s supplier, BerryMex, have refused to meet with or even recognize SINDJA. Despite being on the receiving end of violent union busting methods (http://newsvideo.su/video/2150793), the union is continuing the boycott. This March the union undertook a Caravan for a Fair Wage and Decent Life, marching nearly 2000 miles from San Quintin, Baja California, to Mexico City to protest non-compliance of agreements reached with federal and state government officials. Because this struggle is ongoing, and because of our commitment to supporting ethical producers, the Alberta Co-op will honor the workers’ call to continue the Driscoll’s boycott. There are still plenty of good choices out there, including local strawberries direct from several of our farm partners, so you won’t have to worry about the ethics of your fruit salad! You can find occasional updates online at https://www.facebook.com/BoycottDriscolls/ or https://www.facebook.com/Sindicatodejornaleros/.